Truprint specialises in online photo prints and personalised gifts for those looking for a gift or personalised item. 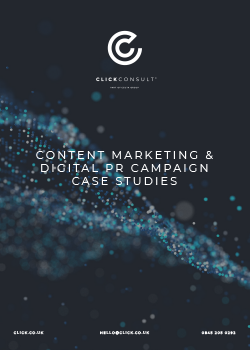 The company wanted to develop its pay-per-click (PPC) advertising activity to improve revenue while bringing down spend, therefore improving ROI. The team then focused on developing Truprint’s existing Google Shopping Campaign as well as launching Bing Shopping and dynamic remarketing. Our Premier Google Partner Status has allowed us to whitelist Truprint for a range of exclusive Google beta features that have had a significant impact and placed Truprint a step ahead of their competitors for when these features go, or have gone, live. To further ensure Truprint got the best possible return for their budget, we used our proTRAX tool, part of a suite of software developed in-house by Click. This technology allows us to distribute budget across campaigns and channels in the most efficient way. We also supported Truprint’s website relaunch in May 2016, ensuring feeds were fully prepared in advance of go-live and closely monitoring performance afterwards to minimise disruption and take advantage of any new opportunities presented. Great agency at the forefront of search marketing. Fantastic account management coupled with real experts working on your campaigns = a winning combination. Wondering what a Click Consult campaign could do for your brand’s profile? Contact us today to find out, or give us a call on 0845 205 0292.